Despite dire predictions, Brierley Hill in Bloom is still looking good. How about some support for our sponsors – the more who support Bloom, the more we can do. 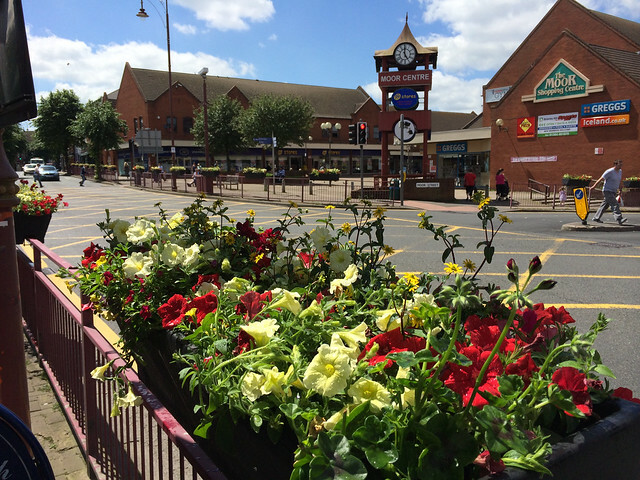 There’s been some fantastic help from traders and members of the Community with Brierley Hill in Bloom – keeping an eye on the plants and helping to water them. This week there was more good news from Dudley Council. The glorious 12th…12th of June that is. 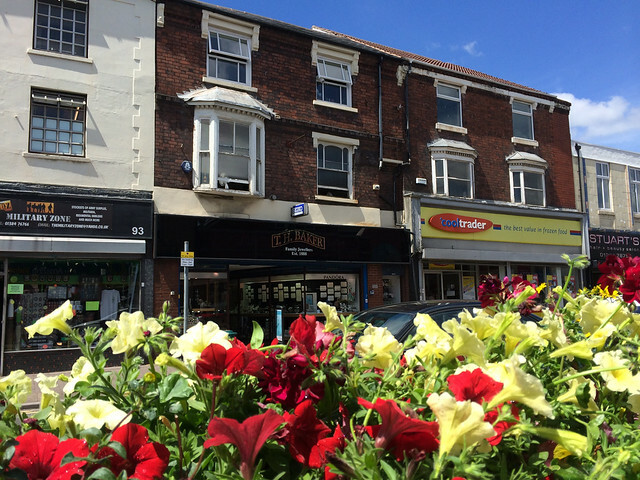 The day that the Brierley Hill in Bloom flowers were planted in their containers on the High Street. The sun shone, people smiled, traders took photos, students prided in their work- quite right too. One admirer said: “…it looks like someone cares…”. Other comments made me think: we are also a town which needs to believe in itself, both as individuals and as a community. The search for volunteers to adopt planters in Brierley Hill high Street this summer all to look after them iis being stepped up today, as Shane Birch-Bastock the chair of the town’s traders’ association leaflets local shoppings seeking to add to the impressive list of ‘bloomers’ who have already volunteered. Brierley Hill Civic Society discussed at its March meeting proposals to regenerate the town centre, fund raising, the future speakers programme, Brierley Hill SNOW campaign, the Christmas Festival and Brierley Hill in Bloom. 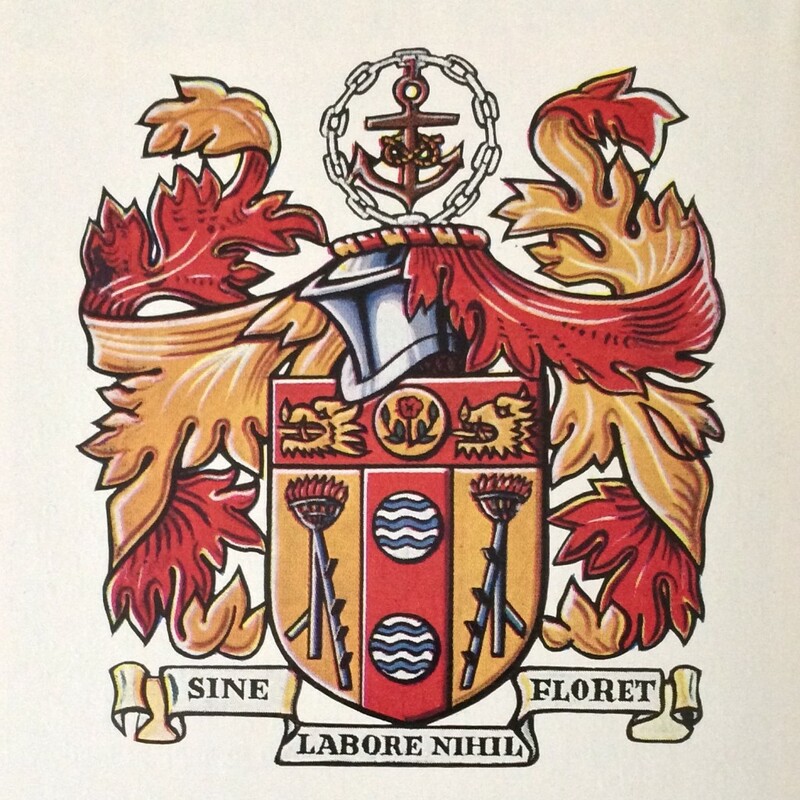 Brierley Hill in Bloom will be taking its colour theme from the towns coat of arms. 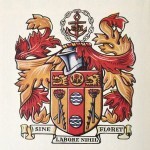 This post contains an explanation of the coat of arms and the town’s motto. 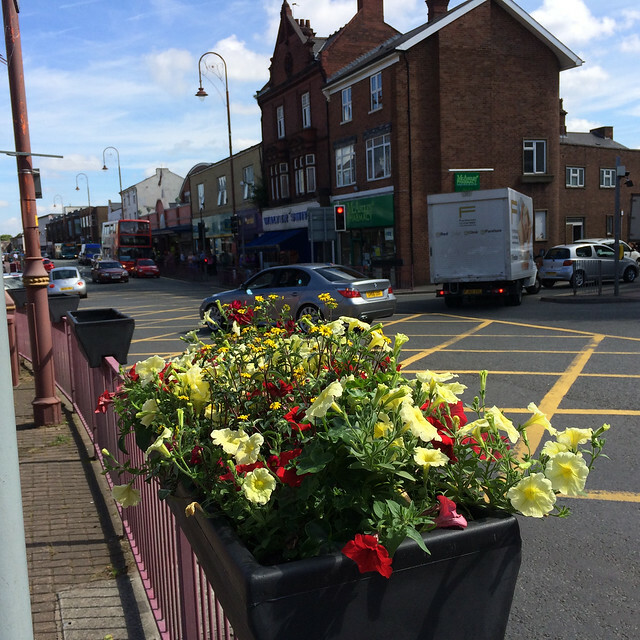 Pleasing news on Brierley Hill in Bloom – planters have now been identified for purchase, involvement is growing, and planting is underway. 26 planters each with four linings are to be purchased, more businesses are getting involved, and plans are to start at Five Ways and radiate out.